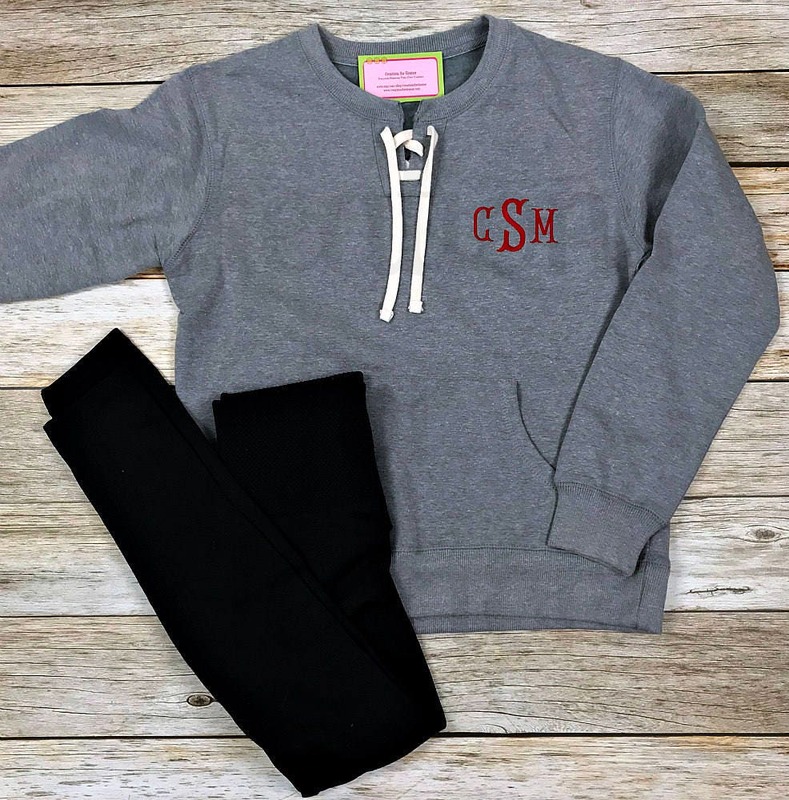 This simple sweatshirt gets an update with simple monogram and split crew with laced placket. 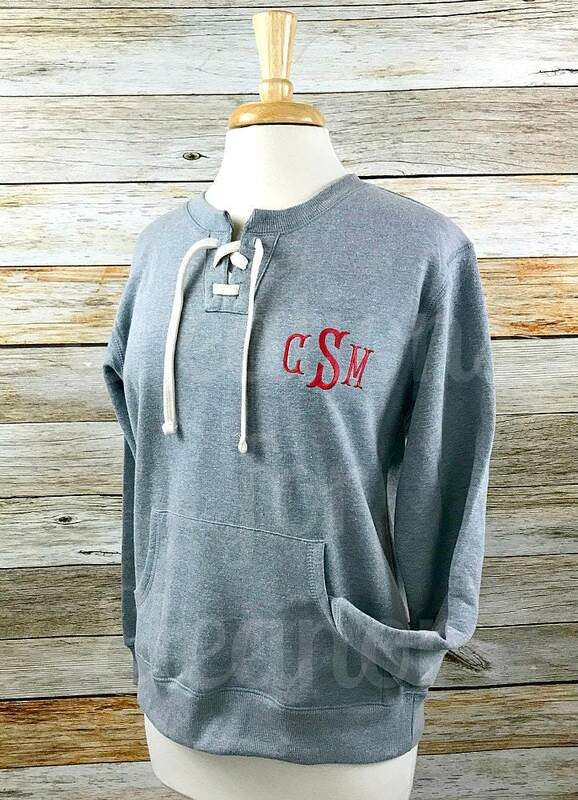 Constructed from a soft vintage 60% cotton / 40% poly fleece . 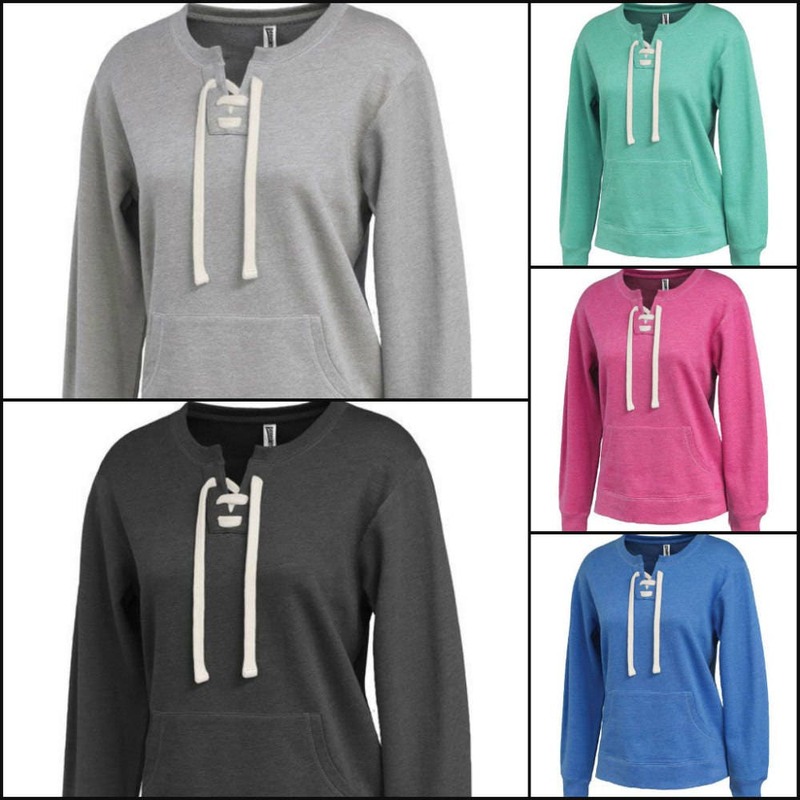 The sweatshirt has a pouch pocket, a relaxed waistband, rib knit cuff and is a women's fit. 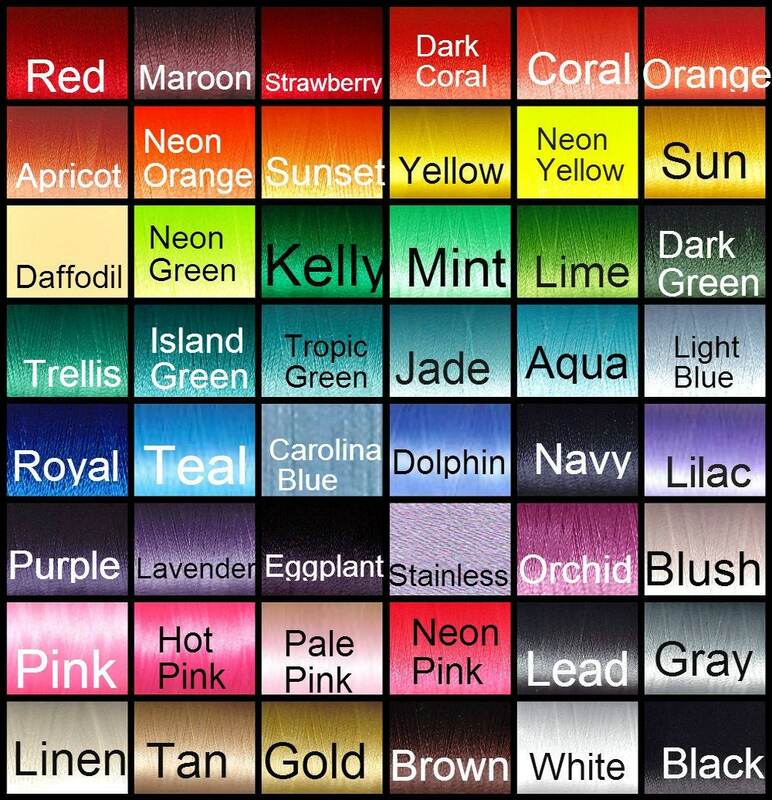 All shirts are custom embroidered in a pet free, smoke free home. They are custom made for you and will take 3-4 weeks, please convo me if you feel you will need this shirt quicker. Due to the custom nature of this item it cannot be returned. 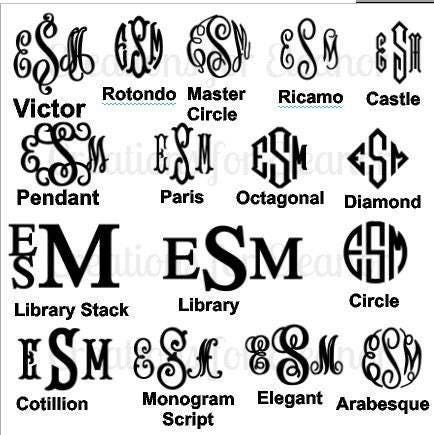 Please make sure to indicate the font choice, thread color and initials in order first LAST middle.